Caravaggio confessed to murder, was sentenced to prison, escaped from prison and was found dead on a beach — most probably murdered. He wasn't even 40 by the time he died, yet within that scandalous life he also created some spectacular paintings. 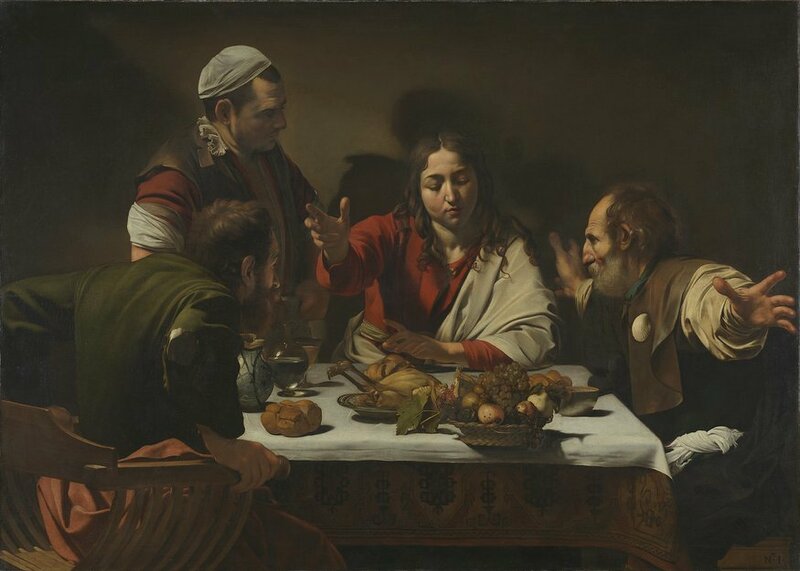 Beyond Caravaggio at The National Gallery looks at his work and the artists he inspired. Caravaggio was such an inspiration to many of the artists that followed him, he even has a movement named after himself, Caravaggism. Only six of Caravaggio's works are on display here but over 70% of the paintings in this exhibition were thought to be by Caravaggio at some point in time. It goes to show how many tried to imitate his mastery of light and shadow. Supper at Emmaus flaunts such mastery: one side of Christ's face is lit, the other is in shadow. 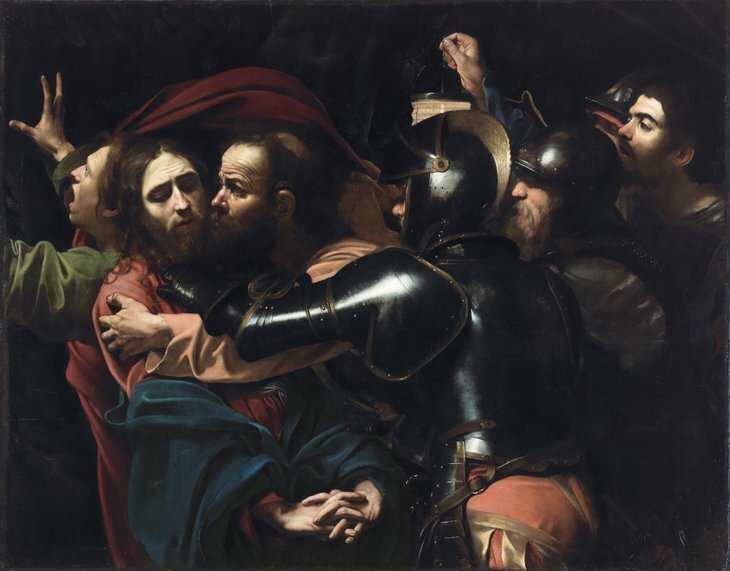 Similarly, Caravaggio's painting of Judas betraying Christ with a kiss oozes with dramatic tension. Other painters on display here such as Grammatica and Riminaldi try to emulate Caravaggio's style but their paintings never feel natural, even though they're clearly accomplished artists. Still, these paintings do serve the purpose of showing how Caravaggio was one of a kind. One of the successes in this exhibition is the female painter Artemisia Gentileschi, her boyish David posed with his sword held high over a prone Goliath is packed with energy. Battistelo also captured something of Caravaggio with his beautifully-lit sleeping Cupid. Some of the Dutch painters that followed took Caravaggio's use of lighting further, using candlelight to create even more dramatic lighting on faces. It's only fitting that the show ends on yet another fantastic Caravaggio painting — this one of John the Baptist. He's in a red cloak, young and athletic — a confident and striking painting, which contrasts the one of him with his head lopped off. Beyond Caravaggio reminds us just how skilled this painter was, and how he inspired countless artists that followed. 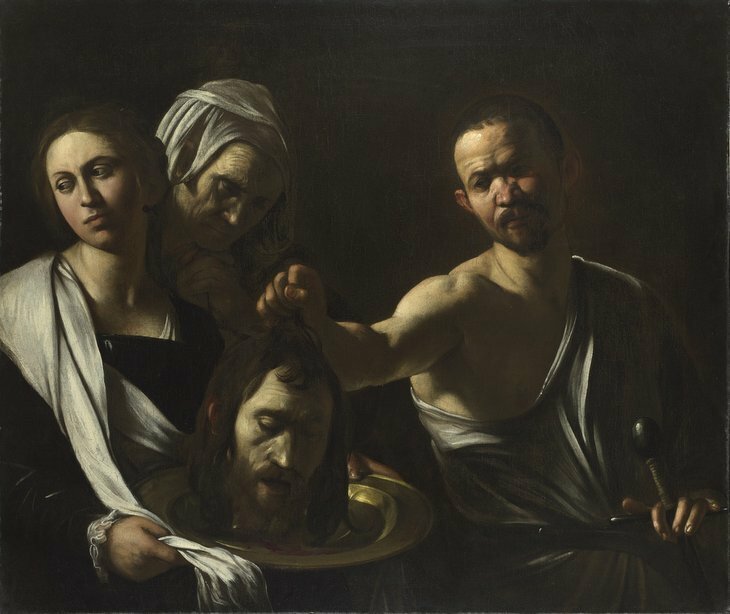 Beyond Caravaggio is on at The National Gallery until 15 January 2017. Tickets are £16 for adults, concessions available.